In the fast-paced business world, companies are becoming smart with the growing use of data sets available to them. Data is the soul of every company and utilizing it intelligently will help in growing the business to new heights. The growth of your company is undoubtedly based on how well you utilize the data and analytics. According to the research done by Cisco, the global IP traffic will reach 3.3 ZB per year by 2021 and more and number of devices will be connected to the internet. The voluminous data available to companies has changed over the period of time in terms of volume, type, and velocity. This data is every company’s true asset that plays a vital role in revolutionizing the whole business. Thus every business, irrespective of its size needs to be a data business. Big data Science and analytics have transformed the market strategies which helps in the growth of the business. 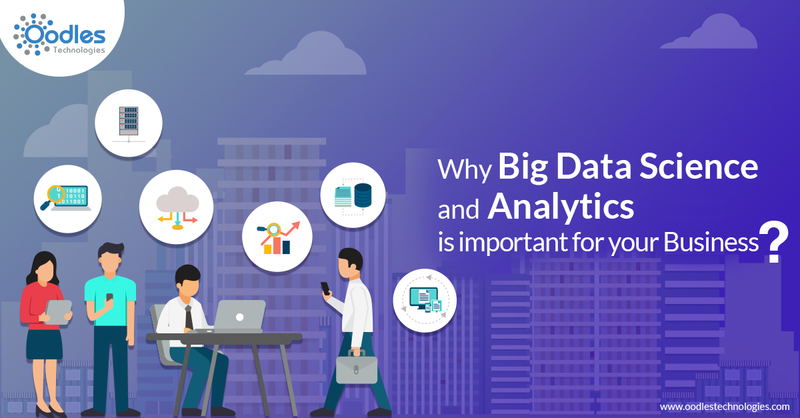 The era of digitalization, the big data Science and analytics are the latest trends and those who have followed knows how these two technologies have helped them do things which were not possible in the real time. Planning a data strategy to use a large amount of data plays an important part as people generally collect so much data but fail to utilize it in a proper way. Hence it is said, that before using the data, businesses should have a good strategy. During the strategy creation, you should not be worried about how much data is available to you or your customer, which data is important Instead, your focus should be on what is the target of your business and how the available data will help you fulfill it. A well thoughtful strategy will help you from getting lost in the large pool of data. To find the right data it is always important to understand how to use that data. Then plan a strategy of how you will enforce an analytics to your data to extract business insight and implement it in the decision making. Big data analysis, tools along with statistics is necessary for analyzing this heaps of data. Using technologies like Machine learning and Artificial Intelligence, the analysis is done that can solve problems in different areas if your company.